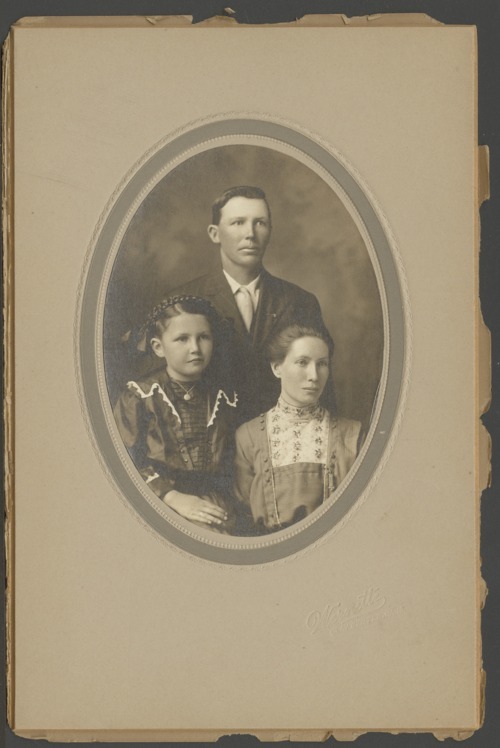 This is a studio portrait of (left to right) Ellen Owen, Harry Owen, and Cecil Newton Owen taken in Clay Center, Kansas. Cecil is the daughter of Henry O. and Emma Newton. The Owens lived near Goshen, Kansas.